Ref/ Org Model nodes can be linked to activities in process diagrams, requirements & stories using Copy/Paste. When you link the SF Org Model node with a process activity you are not just linking this particular node, you are linking the same node from Production & all associated Sandbox Org Models. 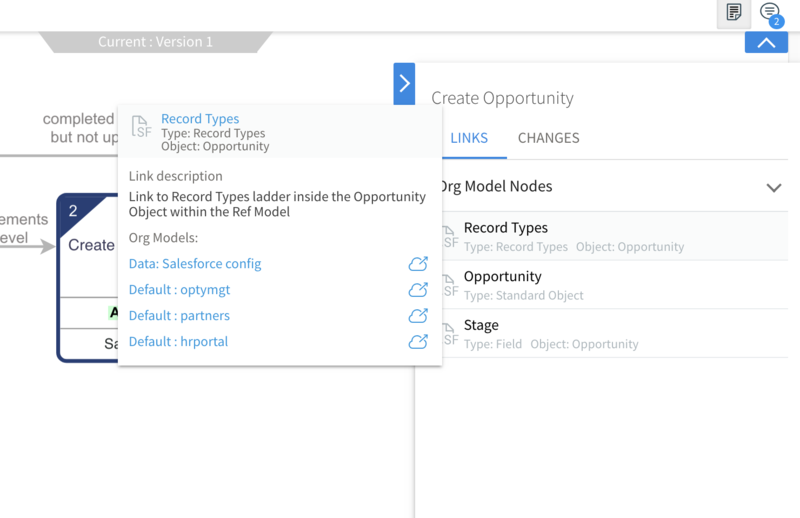 When viewing the process you can very easily understand the usage of the particular Salesforce item in the process by rolling over the attached link - you will see all the crucial info + links to production & sandbox Org Models & links to the actual Salesforce setup pages. 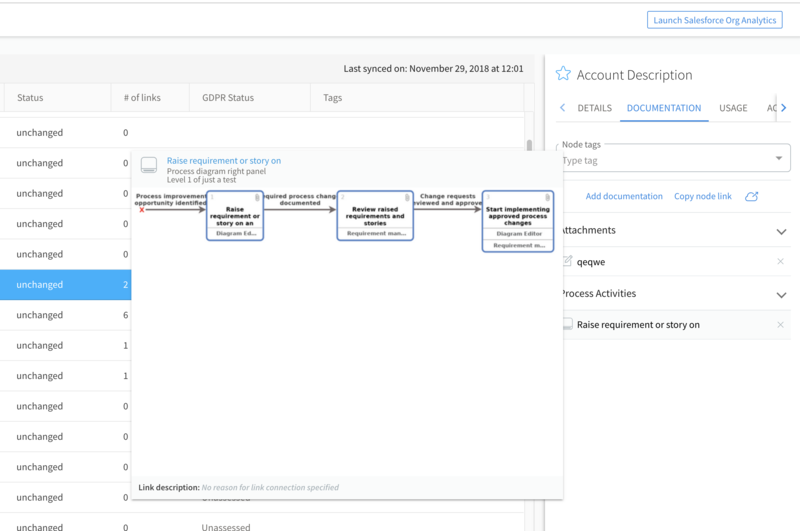 In the Ref/Org Model you can roll over the process activity link to see an image of the process + information about the name of the activity, process diagram & map to contextualise the link. You can click on the name of the activity at the top of the rollover to open the diagram in a new tab. 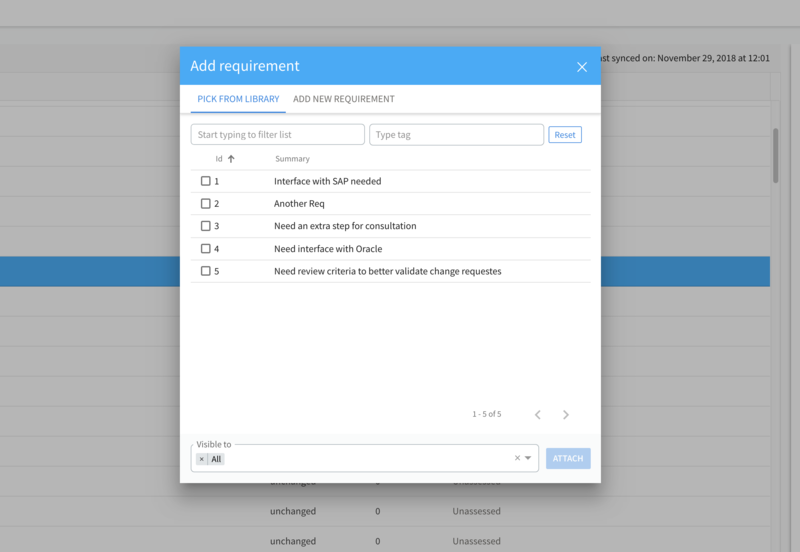 Org / Ref Model to requirement or story: The easiest way to link requirements & stories to a model node is to click on “Add documentation” in the right panel or using the right-click in the tree. You will a dialog what allows you to add multiple stories and requirements or create a new one.